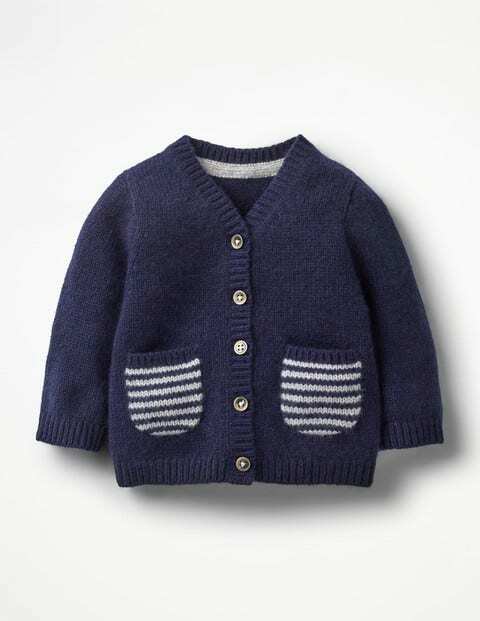 Our super-cute cardigan is expertly designed in Britain and comes in 100% cashmere for extra softness and long-lasting quality. It’s also machine washable (yes, you read that right). The V-neck design with button-down placket layers easily over any outfit, while ribbed trims and cuffs will keep baby extra warm. And for a little touch of fun, the pockets feature stripes.This special piece comes in a sweet presentation box – ideal for gifting.